Somewhat of a temporary top formed around .7350 and after multiple attempts at the level, Some poor employment data (higher unemployment than forecast) helped derail the rising trend for the Kiwi this week. Falling over 100 pips the pair found some support at 7250. The LTL from 6800 rise is still intact and another attempt at 7400 may prevail should the line hold, in addition we are ahead of the NFP, which may push the USD further down. We will see tomorrow. 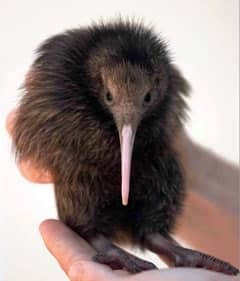 There may be a long in here but I am just watching Kiwi as of now. Here is another chart leading up to now. After the double bottom on daily. Aussie broke a symmetrical triangle before and is rising at current. Would like to see a pop, yet this pair can move very slowly sometimes. analysis with just a few definitive lines. Nice harmonics on the weekly. NFP 2day. I will be interested to see where we close. awww. that's such a cute bird. my charts were not perfect, I am getting used to the charting on TS2. Aussie and Kiwi didn't get much help from the NFP. Trying to see what else may be going on in the background..
ie: "Copper Declines for Second Day as U.S. Jobs Report Dims Outlook for Demand -"
Gold actually rose and is complicated during these inflation / jobs reports. "Agriculture and horticulture, forestry, fisheries, energy and minerals are the primary natural resources of New Zealand. The most valuable of these product groups, providing a high proportion of New Zealand's export earnings is agriculture and horticulture which incorporates the production of sheepmeat, beef, wool, dairy produce and hides, deer, goats and cereal products. In fact, agricultural products total more than 50% of all New Zealand exports." So livestock, dairy, beef, and lumber should be good barometers for this pair at times. I am fairly new to KIWI trading. Still learning. If anyone who is more experienced in this pair would like to add please do. I'm not a funny mental person. Purely technical for me. Can't say much more. Just the chart looks like price is stalling. I'm new on forex factory. I'm trading forex like 2 Jears now,english is not my mother lenguage so sorry for all my foults. Kiwi is ready for a big break. It is finishing consolidating in a wedge formation and will break out soon, FOMC will trigger a break out more than likely. Sell Below 7245 or Buy Above 7344 will be the trade. i wanted a break higher but it appears to want lower. Kiwi could not close about 7245 after FOMC. It couldn't even get past the tip of the wedge at 7280. This is very negative for this pair. I expect .70xx this week. News in 5 mins.. Are we going down from here? yeah I thought we would see a bit of a jump on that even if it didn't last long. Could the drop in the EUR/USD be holding this back some?